it should come as no surprise that i might be possibly the hardest person to shop for during the holiday season. as part of my job i regularly rotate through clothing, handbags, beauty products, etc. my husband is often heard mentioning these difficulties during Christmas or my birthday. i tried to brainstorm some great holiday gifting ideas and hear is what i came up with - instead of purchasing items, find me solutions! one of my least favorite things about winter are cold, cracked fingers. my poor hands never seem to make it through the hot, arid indoors to the cold outdoors. on top of that it seems like every pair of gloves loses a mate within weeks of purchasing. i blame it on the fact that gloves are so ambiguous and they all look so similar it is easy to mistake yours for someone else's. the perfect solution? 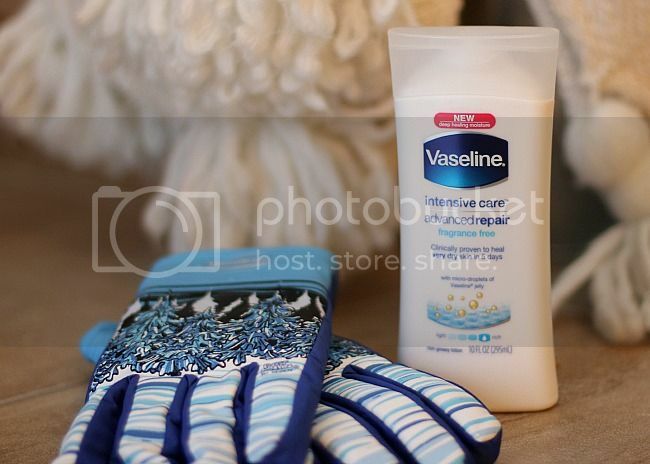 lotion and pair of gloves that won't get mistaken. 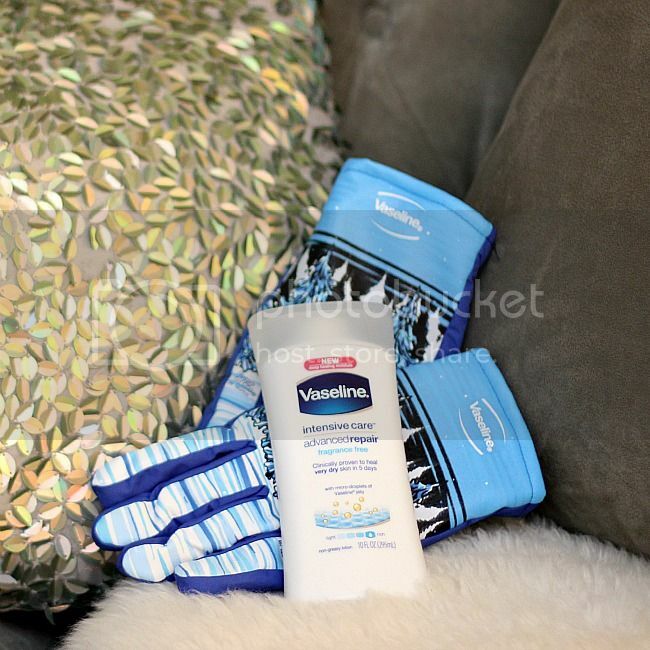 Vaseline Intensive Care Advanced Repair Lotion teamed up with the Freezy Freakies to bring back your favorite retro gloves from childhood that reveal suprising designs in the cold to help you stay warm this winter season. you are sure to know which gloves are yours with their vibrant, colorful design. second solution? repairing my winter worn skin. Vaseline Intensive Care Advanced Repair Lotion uses a specially designed blend of glycerin, micro-droplets of Vaseline Jelly and Dimethicone to deeply moisturize and heal very dry skin. it is ideal for those of us with very dry skin and can help heal your dry skin in just five days making it a winter skin care must have. you can even go one step further in the repair process and apply your Vaseline Intensive Care Advanced Repair Lotion and then put on your gloves to lock in the moisture from your skin and lotion to get an intense rapid repair. plus, this lotion is easy to find at only $4.99 at food, drug and mass retail stores. now that my solutions have been found i am looking forward to a Christmas season of smooth, silky skin. what are some of your favorite winter skincare solutions? let me know in the comments.